The Swedish Chambers International's Strategic Board Meeting was this year hosted by the Swedish Chamber of Commerce in Hong Kong. 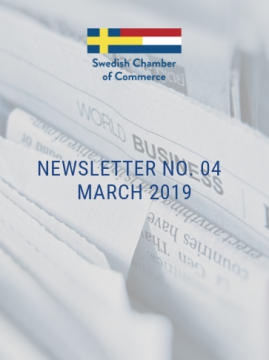 For the participants, an excellent opportunity to exchange best practices, discuss joint initiatives and strategies for the Swedish Chambers of Commerce abroad. 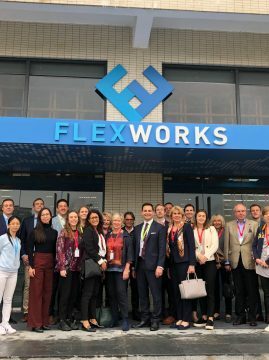 In addition, we got a very interesting insight into the developments in the Greater Bay Area Region, including a visit to Shenzhen, the centre of innovation where business developments are taking place in an amazing tempo. The three-day program included meetings with Business Sweden and Nordic Innovation House Hong Kong and successful Swedish businesses and entrepreneurs both in Hong Kong and in the Shenzhen area, including Daniel Wellington, Viral Access, Flexwork Limited, Handelsbanken and EQT. 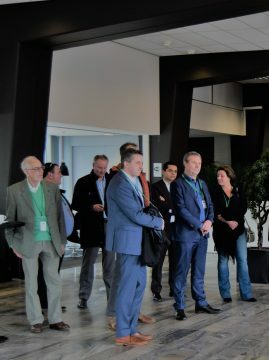 The Swedish Chamber of Commerce was very pleased to welcome its members to Scania Production Zwolle for a company visit on March 20, 2019. Matthieu van der Haar, Representative Visits & deliveries and Wendy Colenbrander, Country Marketeer, Marketing & Communications Scania Nederland BV welcomed the members and guests and invited everyone to a delicious lunch at Scania Production visitors centre. Thereafter it was time for a very inspiring and impressive company presentation by Matthieu van der Haar where he introduced the lean working methods of Scania and how they are continuously working with the processes and keeping the wellbeing of the employees, environment and sustainability on the first place. After the presentation, the members were invited to take a ride in the visitor’s train along the assembly lines in the factory to experience how the processes work in reality. Finally, back in the visitor’s centre Matthieu and Wendy answered the many questions from the members and explained the success of Scania Production’s lean working methods. The Swedish Chamber of Commerce would like to thank Scania Production Zwolle for this highly inspiring and generous company presentation and especially Matthieu van der Haar and Wendy Colenbrander for their great hosting. We would also like to thank all the participants for taking part in the Swedish Chamber Company visit March 2019. 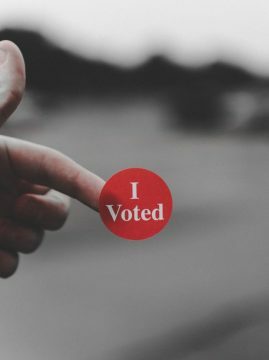 On March 20, 2019, the provincial elections took place in the Netherlands; 56% of eligible voters went to the polls and voted for 12 provincial councils, which are in turn responsible for electing the Senate later this year. These elections were considered critical for the majority of the current coalition parties, including VVD (Liberal Conservatives) of Prime Minister Rutte. The most remarkable results is the huge win of Forum for Democracy (FvD), a right-wing and Eurosceptic party led by Thierry Baudet. Where FvD gained two seats in the lower house in 2017, according to the most recent exit-polls they are set to become the biggest party in Senate (14,4). Although most polls put them at 8 seats in Senate (which would already have been an incredible achievement), they are now set to gain 12 seats. 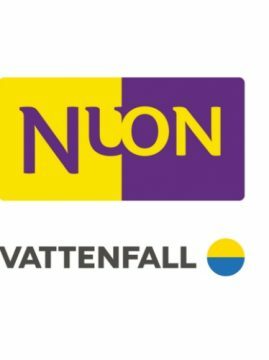 FvD is known for its scepticism, regarding the EU (pro-Nexit) and climate change. The current coalition government is likely to lose its majority in Senate; the VVC will lose just one seat but is coalition partners CDS (Christian Democrats) and D66 (Liberal Democrats) are also set to lose seats (CDA from 12 to 9 seats and D66 from 10 to 6 seats). Coalition partner Christian Union (CU) is set to gain one seat, from 3 to 4. This shift in balance for the coalition means it might be harder to pass bills in Senate and there are only two parties big enough to help them reach majorities - Forum for Democracy and GroenLinks (Green Left). The provincial councils will elect the Senate on 27 May this year and the new senators are to be installed on June 11. After the European elections in May this year, the next elections concern the lower house - in 2021. The 150-year-old-man-rule is broken when Carina Åkerström takes over as Handelsbanken’s fourth CEO since, 2015. Visit by member Lars de Vries, BOM. 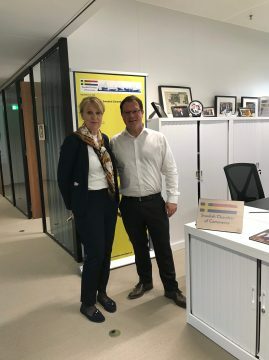 The Swedish Chamber was very pleased to welcome member Lars de Vries, BOM to our office to discuss The Swedish Business in Brabant program 2019 this fall. 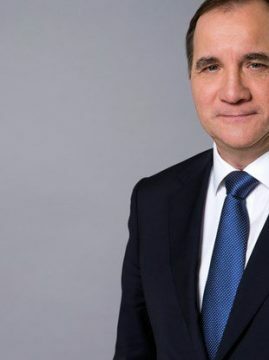 Swedish Prime Minister Visits the Netherlands! The Embassy of Sweden, the Swedish Chamber of Commerce, the Swedish Institute and Epicenter Amsterdam were proud to invite members and relations to the opening of the photo exhibition Swedish Dads in the presence of the Ambassador of Sweden H.E Annika Markovic. 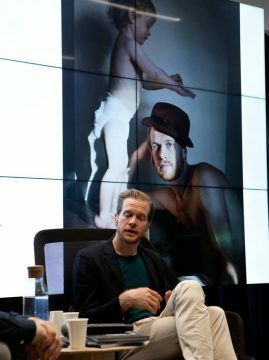 It was an interactive evening with personal and inspiring talks by Johan Bävman, Marius van Regteren and Björn Atterstam about why dads matter, why equality is a good idea and how it changes society and relationships for the better. The Swedish Chamber of Commerce would like to thank our partners and all participants for making this event into a great success. Newsletter No. 04 | March 2019 out now, click here to read!